When you lose your teeth, you lose a lot. Not only do things that used to be easy like eating and speaking now seem awkward and difficult but even your appearance may suffer after you lose teeth. Dental decay and tooth loss can happen to you at any age, yet one of the unpleasant effects of losing your teeth is that you may immediately look decades older than you actually are. Modern dentistry makes it possible for you to address the serious effects of tooth loss by restoring your smile with your choice of many different restoration options. However, a common problem with dental restorations such as dentures is that they only replace the visible portion of teeth. When you lose teeth, your entire facial structure actually suffers as your jawbone naturally deteriorates without tooth roots to keep it strong. This means that most traditional restorations will still leave you with a sunken-in face that makes you look older. At South Lakewood Dental, Dr. Scott Stewart has chosen to offer Fountain of Youth Dentures to patients in Lakewood, CO and surrounding areas. Fountain of Youth Dentures are uniquely designed not only to improve the function and appearance of your smile but also to improve the entire appearance of your face where missing teeth have left you with sunken in cheeks. Unlike traditional dentures, Fountain of Youth Dentures have a unique design that allows them to do more than just rest on your gums and allow your bones to deteriorate. Because these dentures are specially crafted to fit your smile, their tight fit will stimulate your gums and muscles to keep your jawbone strong and actually fill out your face to help you look years younger again. In addition to these amazing benefits for your appearance and the structures of your mouth and your face as a whole, the better fit of Fountain of Youth Dentures will help you regain the function of your smile. 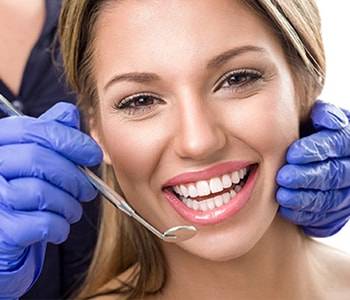 You should experience greater ease in eating and speaking, and you can smile with confidence again without fear of your denture slipping because of an improper fit. If you’re ready for the next level of restorative dentistry, drop by our office in Lakewood, CO to find out more about Fountain of Youth Dentures and discover how they could work to restore your smile and improve your appearance.